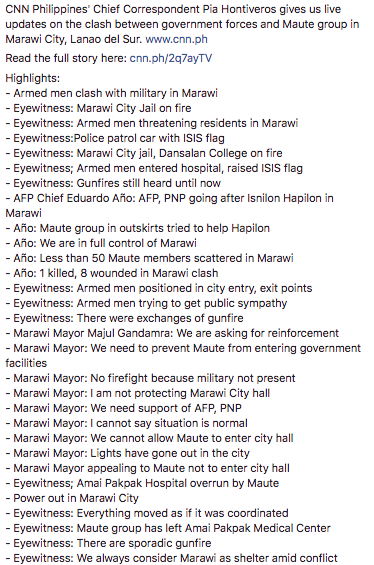 I am getting most of my updates via Twitter from citizens and their families within Marawi. The news networks are either downplaying what is going on or barely covering it at all. Citizens have also been told to stop talking about whats going on and what is currently happening via social media. Some info on Twitter may or may not be true but I am following those who are currently living there, searching through their tweets on what’s going on and their updated photos and videos. The information below however has been confirmed by CNN Philippines and through interviews with residents. At the moment the fire at Dansalan College has been put out but burn marks and fallen debris surround the college. Three buildings of the college have been burned down. 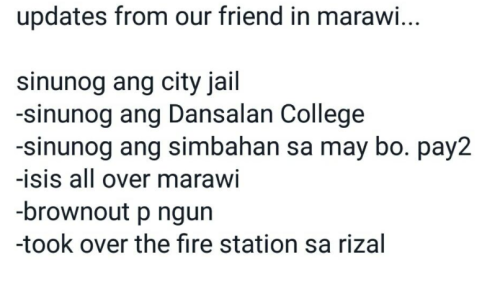 Citizens of Marawi are now currently trying to escape the city to safety during the morning hours. Some are walking with injured, others are driving. Some have been stopped by the terrorists in certain points of the city but have been released and let through. One teacher that has been held hostage has been rescued. Gunfire is still being heard by residents. Many are stating that they still see no government military presence in many parts of the city. 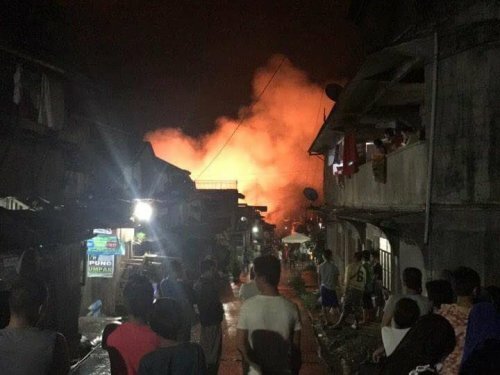 President Duterte has declared Martial Law for the entire island of Mindanao for the next 60 Days after the events in Marawi City. 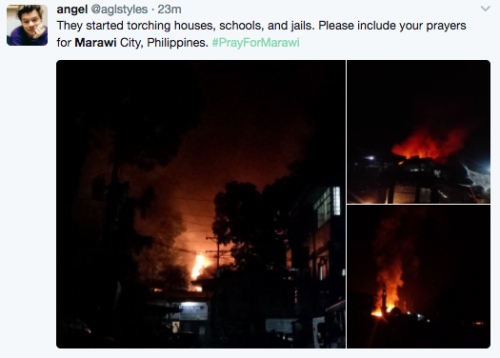 As I write this post, Marawi City in the Philippines is being besieged, burned, and taken over by ISIS factions. 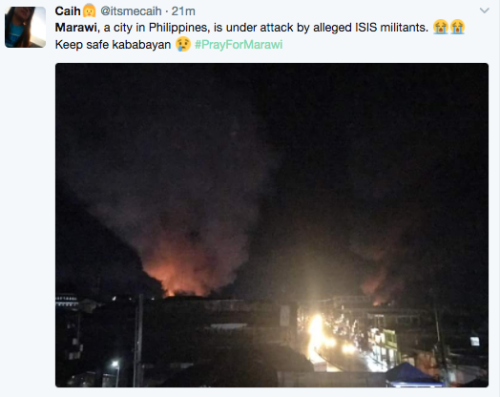 ISIS just invaded the city of Marawi in Mindanao and they have put a hospital under hostage in the process. 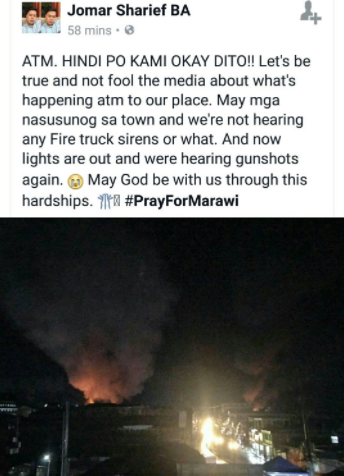 I do not know how long until the Philippine Army will be able to drive them out, and I do not know if the people escaping from Marawi will make it out alive. Never be ashamed when that kid makes fun of your flat nose. When you compare it to other people, don’t envy them because of something you can’t help. Your flat nose, that’s who you are, and it belongs to you. Never be ashamed when an older family member makes suggestions on how to be lighter. Your pigmentation has nothing to do with your worth, and embrace the warm chocolate or golden tint people burn in the sun trying to achieve. Your color is who you are, and it belongs to you. Never be ashamed for when you break the small, petite Asian stereotype. We are more than our sizes, and your body should only be policed by you. In a world that stigmatizes anything over a size 8, don’t let those standards rule your mentality. Your body is who you are, and it belongs to you. Never be ashamed if you can’t fulfill the perfect-student image. Life is more than grades and school, and you don’t have to fit i nto the Asian mold. Try your best, and even if you think that isn’t enough, even if you bomb that test, whatever repercussions come are temporary. Stay strong through the hard times, because your grades are not you. Your academic abilities are not who you are, and they don’t define you. Never be ashamed if you feel in the middle between Western culture and your family’s original heritage. You could see it as not belonging to either, but why not see it as being part of both? If you are first generation, your own situation is vibrant between your home life calling back to your original mother country and your social life diving you into another world. 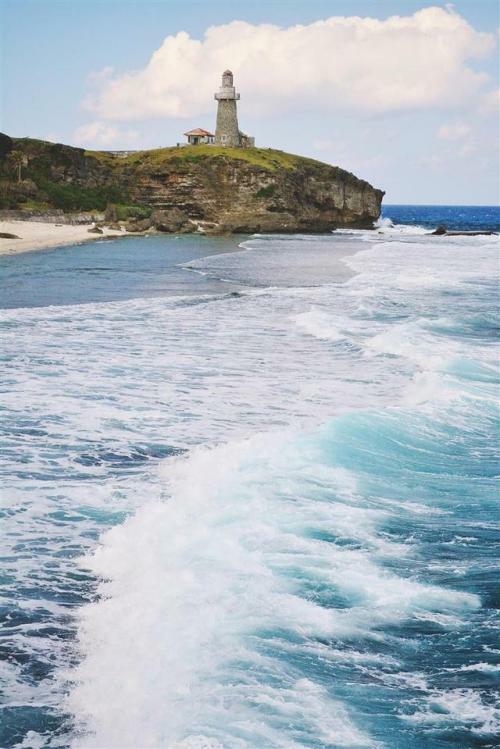 If you were born here, you still have the opportunity to connect to a people whose blood runs through your veins. You’re culture is who you are, and it belongs to you. 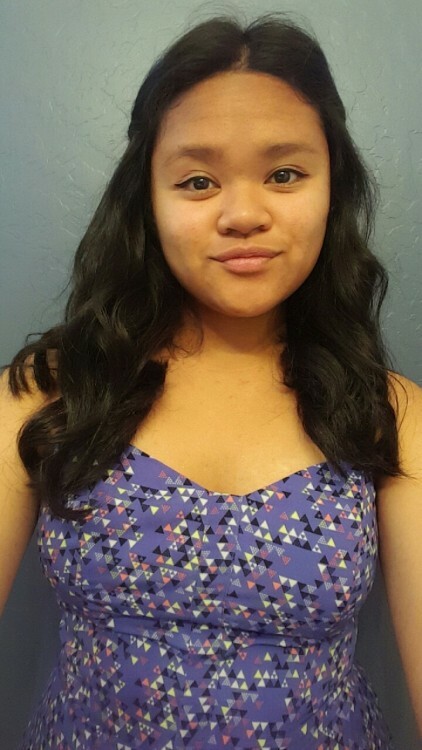 Never be ashamed of being Asian/Pacific American. This life is yours, and it belongs to you. 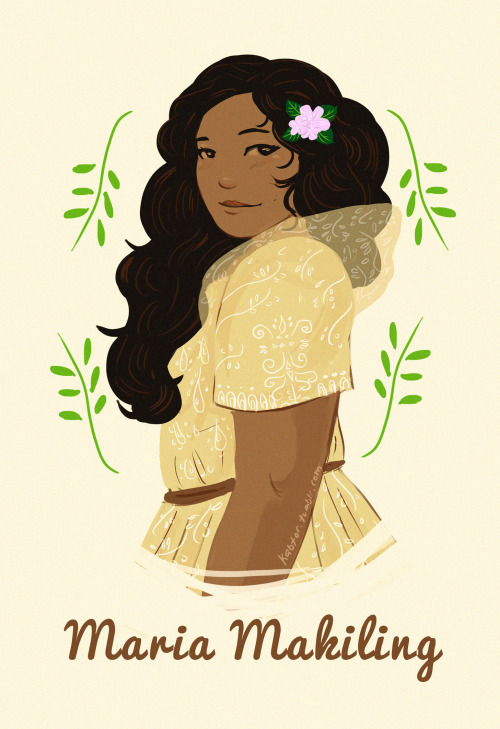 Quick doodle of Maria Makiling, the most known diwata (forest nymph) in Philippine mythology, who guards Mount Makiling in Laguna. 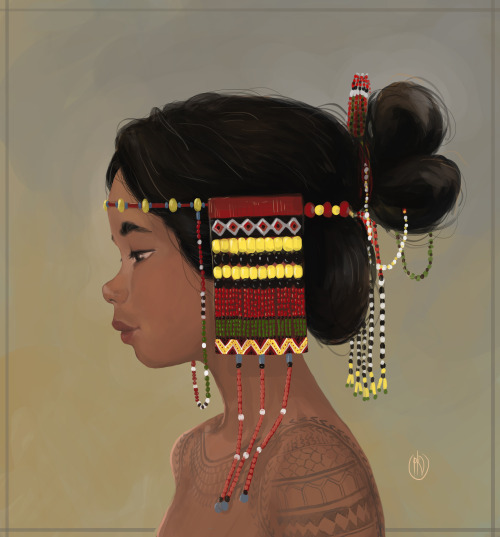 In one of her many stories, it is said that one can have their fill of fruits of the forest she guards, but that these fruits are not allowed to be taken home. One cannot simply take from the forests fruits without risking Maria’s anger. In order to appease her, one must throw away the stolen fruits and reverse their clothing.